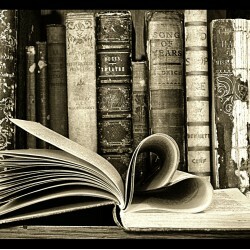 Lover of all knowledge: literature, science, history, culture, cooking, music, and arts. I will read anything I can get my hands on but have a special place in my heart for YA paranormal romance novels. I stumbled upon a blog called "A Nerd's Guide to Reading" and fell in love with two of their top 25 lists, their fantasy & also their science fiction. The books on here will be added to my "to read" pile if they haven't already been read. I wanted to share the lists with my fellow bibliophiles! Check out the blog listed below for the full post! Happy Readings!